University rooms appeal to students the most when they have the right balance of a homely feel and an area in which they can study effectively. 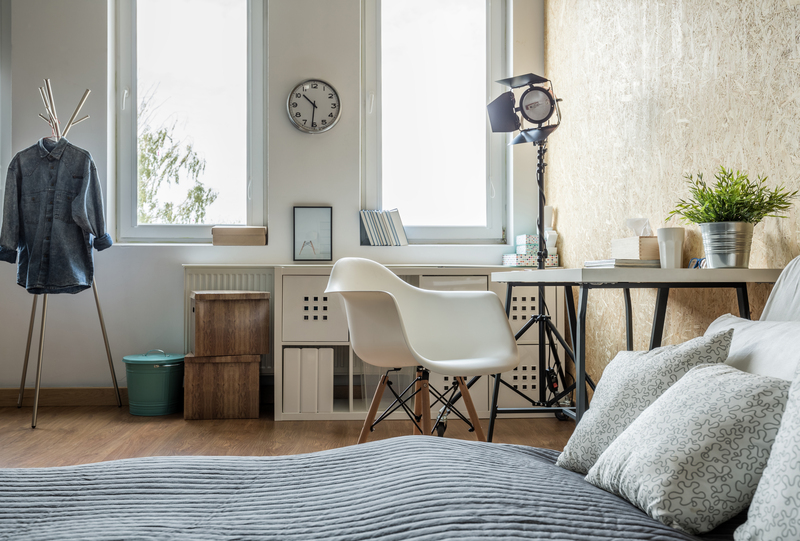 Perhaps one of the most important aspect of student rooms is the ability for students to customise their space, and so designing rooms which are both inviting and versatile is what should be aimed for. University is the time where young people are transitioning from living at home to living independently – so designing a space that facilitates their learning whilst supports their independence is important to bear in mind. Wall colour choice is particularly important in student accommodation, since it needs to be a colour which is both alluring and flexible enough so that students can personalise their space. Choosing a bold colour, for example, will limit the design options that students will have when wanting to decorate their bedroom. Neutral shades, therefore, are best when designing a student room since they create a space which is both inviting and easily customisable. In terms of flooring, it’s worth considering installing wooden effect flooring since this not only creates a more modern look, but it’s also easier to clean and is longer lasting than carpet. Pops of colour can be added through furniture pieces. 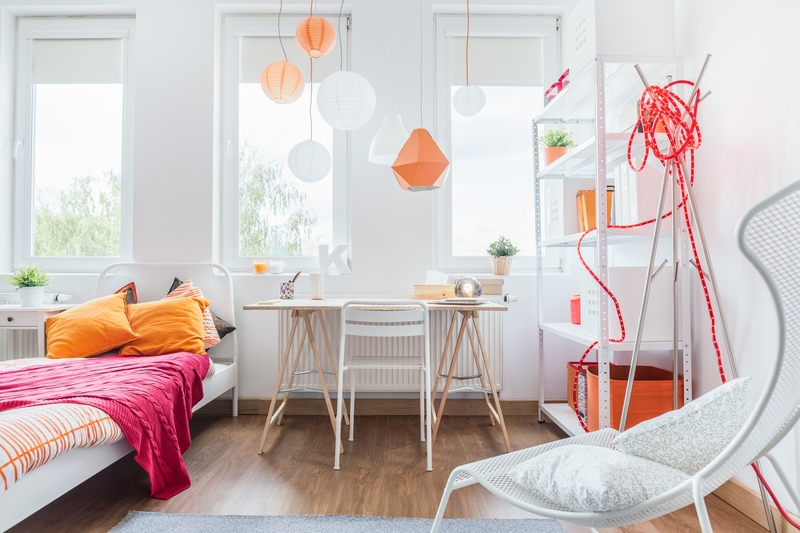 Using bright colours is a great idea for student accommodation since it matches the vibrant student lifestyle, and also contributes to the modern style. When considering furniture choices, it’s important to choose items that support both the student life and home comforts. Offering furniture that can either be turned into a studious area or decorated with personal items is important in allowing students to feel that they’re in a home-away-from-home. This is why numerous shelves are a popular choice, since they can easily be stacked with books, folders or decorative items. A desk is perhaps one of the most obvious furniture items, and should be large enough to hold a laptop/computer as well as a printer and some books. This way, students will feel as though they can study in the comfort of their own room if they wish. A desk chair is also one of the basic items and should be sturdy and comfortable. This is also one of the items in which bold colours can be incorporated, as it’s enough to make a statement without dictating the colour scheme of the entire room. Storage space is an important factor when designing accommodation. Student bedrooms are not known for being the largest of rooms, so it’s a good idea to be smart about where extra storage can be added. Installing beds with storage drawers underneath is a great idea, as well as wardrobes with additional shelves and perhaps placing an extra shelf above the door (if there is space). Using the space wisely is one of the best ways to attract students. An open and airy room with a modern design and opportunities to customise is sure to appeal to young people.